Business leaders' audiences - their customers, competitors and employees alike - live and breathe social media. In our hyperconnected culture, social media is the glue that allows us to stay connected to communities, products and brands. If your customers are on social media, along with your competition, then shouldn't you be there too? "Get Social" untangles the social media folklore and gets to the point of how business leaders and aspiring leaders can personally use social media to get real business results. Leaders who use social media platforms right have been shown to be more connected to their customers and employees, they gather major market research advantage by being part of the social conversation and they embody their brand message thus connecting with people on an authentic level. Along with a social CEO health check, Get Social offers invaluable templates, content plans and profiles of successful social media savvy CEOs. This book will give you all the tools you need to successfully launch yourself in the social conversation and see immediate results for your career and business. 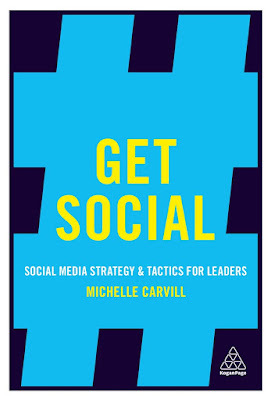 Claire Debney, legal strategy consultant and executive coach said, "Get Social is an absolute must for all leaders looking to understand where we are with social and how they can get involved."